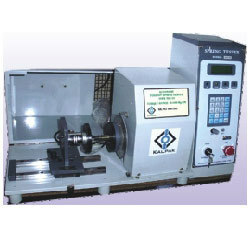 Prominent & Leading Exporter from Pune, we offer manual torsion spring tester, motorized torsion spring tester, computerized torsion spring tester, manual torsion spring testers and automatic torsion spring tester. 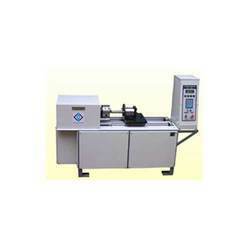 We offer Manual Torsion Spring Tester With Capacity Up To 5NM. It is precision-designed completely motorized in operation. 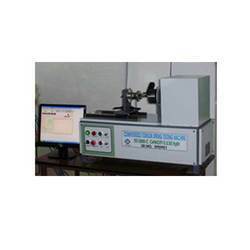 These testers are capable of measuring torque range from 0-2000 NM with the resolution of 1 Nm. The accuracy range of these testers is most reliable. We sell these testers at a lesser price. It is precision-designed completely motorized in operation. These testers are capable of measuring torque range from 0-2000 NM with the resolution of 1 Nm. The accuracy range of these testers is most reliable. We sell these testers at a lesser price. 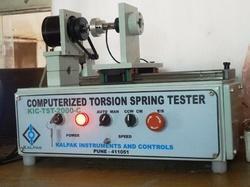 Kalpak Computerized Torsion Spring Tester are capable of measuring torque to 2000 NM. Torque Accuracy min.+/-0.5% of F.S.D. Parameter Programming: For Angle/ Torque by remote Key pad. We offer Automatic Torsion Spring Testers. Kalpak Automatic Spring Testers are ideal for Online Tensile/Compression Testing of springs. We offer two models catering to different Load Ranges. 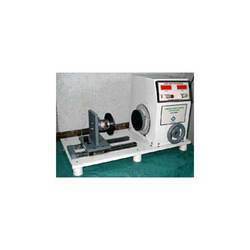 Looking for Torsion Spring Testing Machine ?